How Does Air Conditioning Maintenance Help Your Home? We often tout the benefits of air conditioning maintenance, which most people don’t think about very often. But here in the middle of summer, with temperatures high and your air conditioner needed every day, the benefits can be immeasurable. We recommend maintenance sessions once or twice a year, either at the very beginning or very end of cooling season. If you haven’t had maintenance scheduled for the last 12 months, we strongly recommend setting it up. It can pay huge dividends not only this summer, but for many summers to come. Regular maintenance most resembles a tune-up for your car: not a repair job so much as an attempt to pre-empt any problems that might require repairs in the future. The technician gives the system a good look: checking for signs of common issues and scheduling repairs in the event an issue is discovered. It also means dealing with all of those little problems that don’t merit a repair call on their own, but which can create more serious trouble down the road. A loose bolt, for instance, might not sound like much and can be easily corrected by a trained technician. But if it isn’t addressed, it can damage the component as it rattles in its housing every time you turn your system on. Regular maintenance is intended to address little issues like that. There are three basic benefits to scheduling maintenance on a regular basis, all of which can ultimately put money back into your pocket. 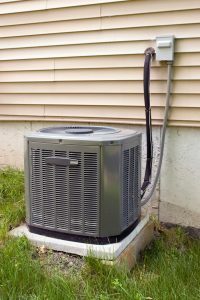 Greater efficiency: Dealing with all of those little issues like loose bolts and clogged filters helps the air conditioner do its job without using quite so much energy. That in turn can lower your monthly air conditioning bills, as well as reducing stress and lowering the chances of requiring repairs. Easier repairs: In the event that more serious repairs are needed, a maintenance session gives you a leg up on how extensive they are and how you can best address them. By catching the issue early, you can schedule the repairs for a time that is convenient to you: something you can’t do in the event of an unexpected breakdown. Furthermore, if you catch the issue early, the repairs probably aren’t going to cost as much since the damage hasn’t had as much time to spread. The real benefit of maintenance comes as it applies to your system overall. If you get your system serviced once or twice a year for the whole of its life, it will cut down on wear and tear considerably. Not only does that save money and reduce the number of repair jobs you need, but it can easily extend the life of the system beyond the expiration of the warranty by months or even years in some cases. Considering the expense of replacing an old AC, that can get a great deal of value for comparatively little cost. For quality AC maintenance service in Rocky River, OH, call Westland Heating & Air Conditioning.